The Inter-parliamentary Coalition for Combating Antisemitism (ICCA) Task Force on Internet Hate met this week at Stanford University and Facebook headquarters, where it established a permanent Anti-Cyberhate Working Group to probe more deeply into the roots of the problem of hate speech on the Internet and to agree realistic procedures to tackle this issue. The resolution was prompted by a desire of industry leaders, including Google and Facebook, to maintain a continuing dialogue with parliamentarians and experts on best practices on combating Internet hate and to promote transparency on how online hate is addressed. The ICCA Task Force consists of parliamentary leaders, industry executives, lawyers, academics and non-government organisations. It is the first of its kind, bringing together major players from all sides to agree on actions to create an Internet that does not provide a haven for those who spread hate. The ICCA Working Group will be comprised of industry, parliamentarians and experts to build best practices for understanding, reporting upon and responding to Internet hate. The Working Group will also report to the public what steps are being taken by Internet companies to address hate on the Internet. “It’s a significant breakthrough with much wider implications beyond the Internet industry. 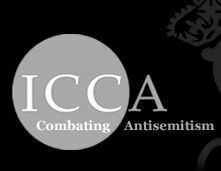 It will make it more straightforward to challenge others in civil society such as the sports world, employers, trade unions, political parties and universities”, says John Mann MP, Chair of the ICCA. The ICCA Task Force on Internet Hate endorses the formation of the Anti-Cyberhate Working Group (ACWG) to include industry, academics, NGOs and other interested parties to work together to build best practices for understanding, reporting upon and responding to Internet hate, and requests ICCA Task Force member Anti-Defamation League (ADL) to convene and move forward with the ACWG. The ACWG should meet regularly and provide reports to the public on the steps being taken by Internet companies to address Internet hate.